Here are some examples of projects supported by Ovalie Innovation and/or subsidiaries of the two groups, listed by strategic aim. Objectives: Precision agriculture enables farmers to produce better (i.e. improve agriculture’s environmental performance) and more (i.e. improve economic performance) because it combines agronomy, ecology and technology. Throughout the consulting service, the use of new decision-support technologies to observe crops enables farmers to meet these new challenges. In this context, the aim of the Drones Grandes Cultures (field crop drones) project is to develop a long-range drone imaging system as well as image-processing algorithms and associated agronomic models in order to provide information for decision-support tools that are needed in the implementation of precision agriculture on the major crops of wheat, maize, sunflowers and rapeseed. This is to provide a comprehensive consulting service to find solutions for issues such as fertilisation, weeding, irrigation and yield forecasting on various crops. Follow Ovalie Innovation on our Youtube channel. This project won the Gold Prize at the 2015 Cooperative Initiative Trophy awards in the “Environmental Protection” category, a fine reward for two years of research on an ecological programme to combat mealworm. As a result of this research programme, the ecological trap TeneCapt was developed, in partnership with AB7 Industries, a company based near Toulouse. This trap provides an alternative to chemical treatments in the fight against the harmful mealworm. Objectives: Chicken breeders are often faced with a mealworm invasion in their livestock buildings. This insect poses multiple threats, such as damaging insulation material and carrying diseases. Thanks to the TENECAPT project, an ecological solution has been developed to limit these infestations and consequently reduce the use of chemical treatments. It has been on sale to breeders since May 2015. Objectives: The development of methanisation raises issues on the management of by-products (the digestate) and the profitability of facilities. VALODIM (Valorisation Optimal des DIgestats de Méthanisation or optimal recovery of methanisation digestates) works to resolve these two issues simultaneously by providing technologies that will enable methaniser operators and cooperatives to better recover the fertilising value from digestates for a win-win result: the profitability of the methanisation unit on the one hand and the compatibility of the fertilisers with local farming methods on the other. Objectives: The search for new sources of protein is an important issue for the future of livestock feed. With this in mind, the project partners are assessing the potential of products derived from insects turned into meal, which can be formulated into new feed. Objectives: Végéplast, a spin-off of the Vivadour Group based in Tarbes, has been studying the recovery of agricultural and food-processing by-products into bioplastics for a number of years now. 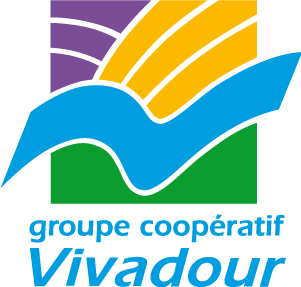 The aim of this project is to use the tremendous potential of industrial biotechnologies to create new categories of biopolymers derived from the by-products of Maïsadour and Vivadour. These biopolymers will provide access to bioplastics markets which have increasingly demanding requirements in terms of technical characteristics, with the prospect of generating added value on the by-products used for this operation. Objectives: Consumers are changing the way they purchase and consume, moving towards more local products which originate close to the point of purchase and thus feature a clearly identified local origin on the packaging. This is the local food movement. 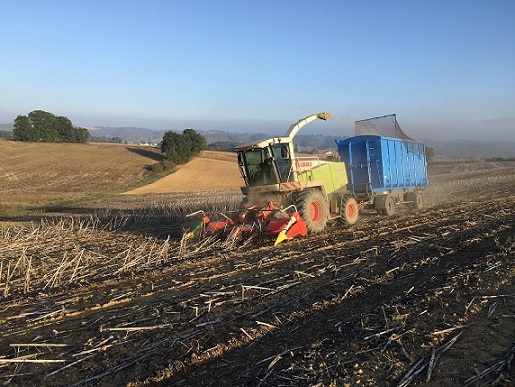 Agricultural cooperatives naturally have a significant role to play in this, due to their ability to produce, harvest and deliver food products across a local area. The only thing that was still missing, commercial innovation, was provided with the creation of the Frais d’Ici brand and its first shop just south of Toulouse.